Prentis Hall, pictured above, is one of the buildings on campus that has experienced frequent structural issues. 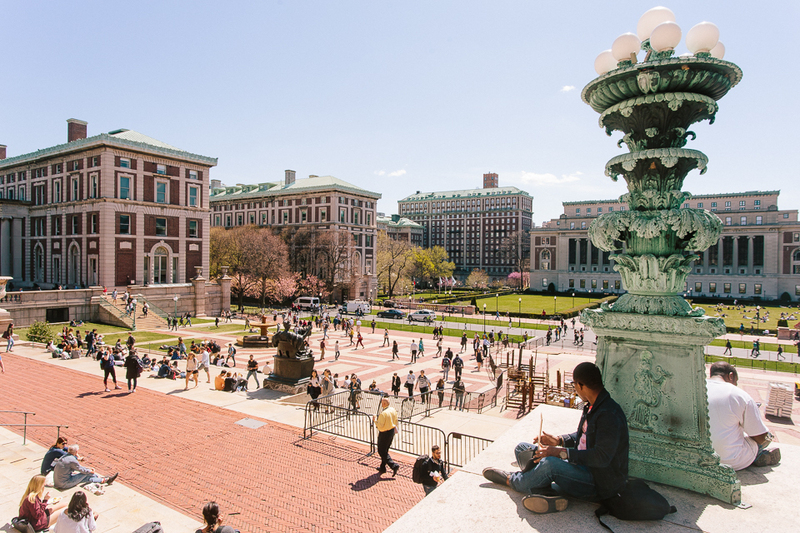 As Columbia works to climb the ranks of the world's leading research universities, professors and students in the Arts and Sciences have been hampered by labs, teaching, and research disrupted by flooding, heating problems, and structural failures in aging buildings. Arts and Sciences has struggled over the years to stay out of the red. This has made it challenging to grow the faculty, compensate existing staff, and meet accelerating undergraduate financial aid costs. This leaves hard choices for the budget, and on top of growth in undergraduate financial aid and faculty compensation, there is little room for major investments in Arts and Sciences’ buildings. Much of Columbia’s reputation as an elite university is built on the strength of its research, and new discoveries and breakthroughs are crucial in helping the University accrue prestige. 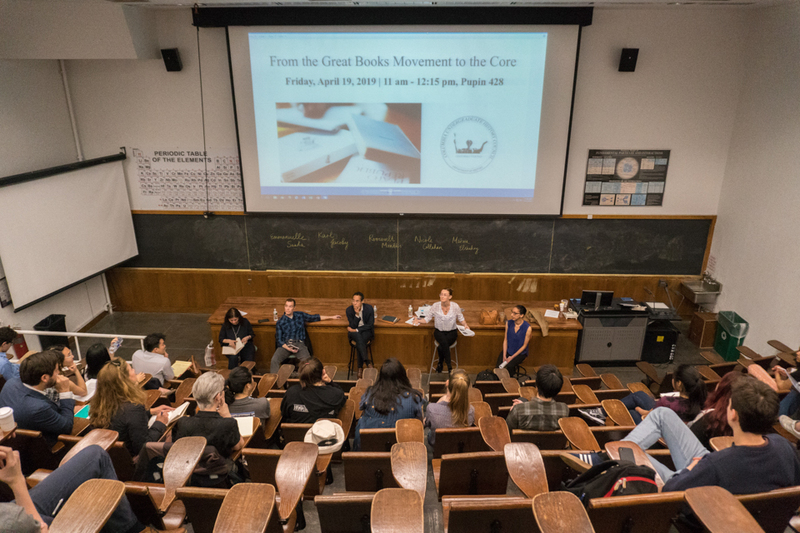 Interruptions from problems with teaching and research facilities can adversely affect the quality of classroom instruction and can present huge delays to faculty trying to make breakthroughs in their fields, spurring faculty—especially in the sciences—to search for opportunities elsewhere. The issue of faculty lab quality has become more sensitive, as over the last decade, the University has made significant investments in state-of-the-art labs in the new Manhattanville campus, most notably for the Zuckerman Mind Brain Behavior Institute. Though Arts and Sciences has seen its costs increase in part to help fund the new campus, the faculty’s involvement in the new institute has been limited, generating resentment among many that not enough investment is devoted to foundational work in Arts and Sciences. University President Lee Bollinger has previously emphasized the importance of having successful departments in Arts and Sciences to the University’s stature. “[To be] a truly great University...one in the top five or six... every department, every school has to be at least in the top ten in the country in terms of its academic quality, quality of the students, quality of the graduate students, quality of the scholarship,” Bollinger said. New faculty often receive renovated labs upon arrival, but current spaces are sometimes lacking. Dean of Science Peter de Menocal said that underinvestment in facilities are a major obstacle to the sciences’ mission at Columbia. It is a complaint the University has heard before: A 2011 study recommended that “substantial investment” be directed towards improving buildings and scientific labs. Executive Vice President for Facilities and Operations David Greenberg said that Facilities is working to make long-term improvements to buildings such as Pupin Hall, and laid out ways in which systems, such as the mechanical and electrical plumbing in Pupin Hall were being upgraded or at least prepared for changes. However, he acknowledged that Arts and Sciences, which is responsible for the departments in Pupin Hall and Schermerhorn Extension, faced financial constraints, and referenced the University’s next capital campaign as a possible source for the needed funds. Executive Vice President and Dean of the Faculty of Arts and Sciences David Madigan told Spectator that Arts and Sciences is working with Facilities to review spaces—particularly for science faculty—in the next few months and develop a long-term plan to address concerns. But given the limited funding available through Arts and Sciences to conduct large repairs, Facilities has to work within this framework, according to Greenberg. Columbia’s physics department was historically among the top programs in the country but has fallen to 11th place in recent years, partially as a result of staffing issues. It was hit hard between 2011 and2014 when several top professors left for other universities. Pupin Hall, Prentis Hall, and Schermerhorn Extension were singled out by faculty as having serious problems. All over 80 years old, these buildings house faculty from departments including physics, visual arts, music, and psychology. They have seen repeated instances of flooding and structural problems in the last few years. The major problems faculty described in these buildings were broken pipes and unreliable temperature control. When pipes break, the resulting leaks and floods can take a significant amount of time to clean up, which interferes with research. Given the severity of the complaints, Bollinger has toured some affected buildings with de Menocal in order to better understand the faculty’s needs. While Greenberg told Spectator that most of Columbia’s buildings were in acceptable working order, faculty members in Pupin Hall, Prentis Hall, and Schermerhorn Extension painted a portrait of chronic issues that required serious renovations. Greenberg said that Facilities worked quickly to resolve accidents, and faculty complimented how responsive the staff was to problems. Marka, who has labs in the basement of Pupin Hall and an office on the 10th floor, has seen major flooding in his offices and labs three times during his time at Columbia. All were caused by problems with pipes, though Facilities said that problems with pipes were not necessarily related to old age. Marka said that the floods seriously hindered research. Faculty in Schermerhorn Extension and Prentis Hall have also experienced problems with pipes, with regular flooding and leakage in both buildings. Psychology professor Kevin Ochsner’s labs have flooded twice in the last five years, and Prentis Hall sustained over $250,000 in damages when a pipe burst last year. Greenberg told Spectator that problems with pipes are inevitable, and that Facilities is unable to predict when pipes might fail. But other professors asserted that they knew all pipes must be replaced at least after 80 years, and there are still pipes on campus that are older than this. David Lalo-Rudman, CC ’20, said that temperature control in the astronomy department in Pupin made the space uncomfortable. “It’s fine if you have the windows open, otherwise you just can’t work in there,” Rudman said. One of the most serious problems in buildings across campus was the dilapidated state of Prentis Hall. Here, faculty and students faced structural instability in addition to the floods and heating issues seen in other old buildings on campus. When part of the ceiling collapsed in late November last year, sending large pieces of concrete onto student spaces, Facilities was forced to install nets in order to keep the rest of the ceiling stable. Many students had to move their studios, losing progress and work in the process. School of the Arts graduate student Elsa Lama said this process was highly disruptive. 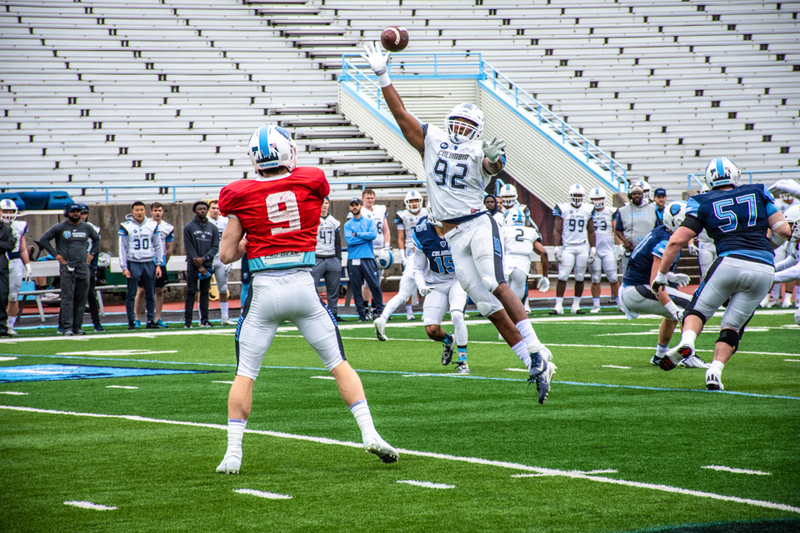 “We’re paying all this money and a lot of the reason we chose this place was for the facilities that were offered, and it’s not at all what we were offered at the beginning of the semester,” Lama said. 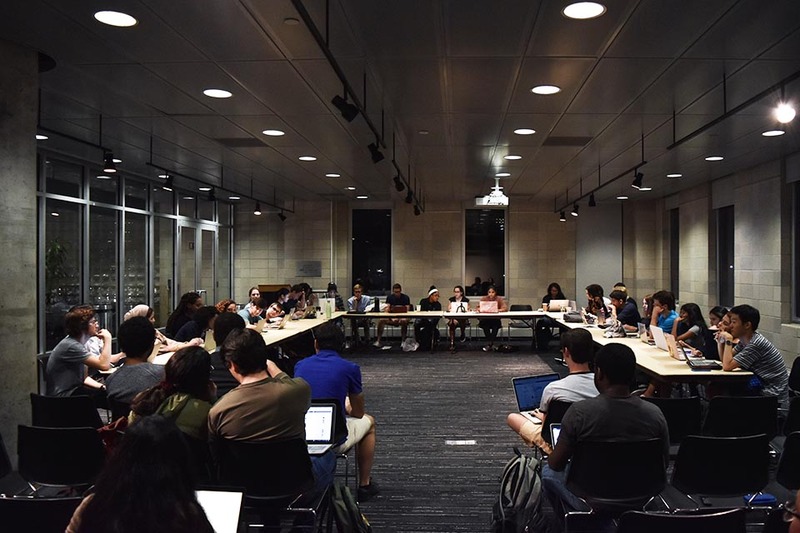 As faculty described the issues in Pupin Hall, Prentis Hall, and Schermerhorn Extension, many expressed appreciation for the extent to which Facilities had been responsive and worked as quickly as possible to resolve problems. But they also argued that in order to truly prevent problems from occurring in the first place, deeper renovations would be needed in the almost century-old buildings. Marka maintained that a large overhaul of failing systems in Pupin Hall would be the best way to keep the building operational in the long run. Marka also argued that improving conditions was a core interest of the University.